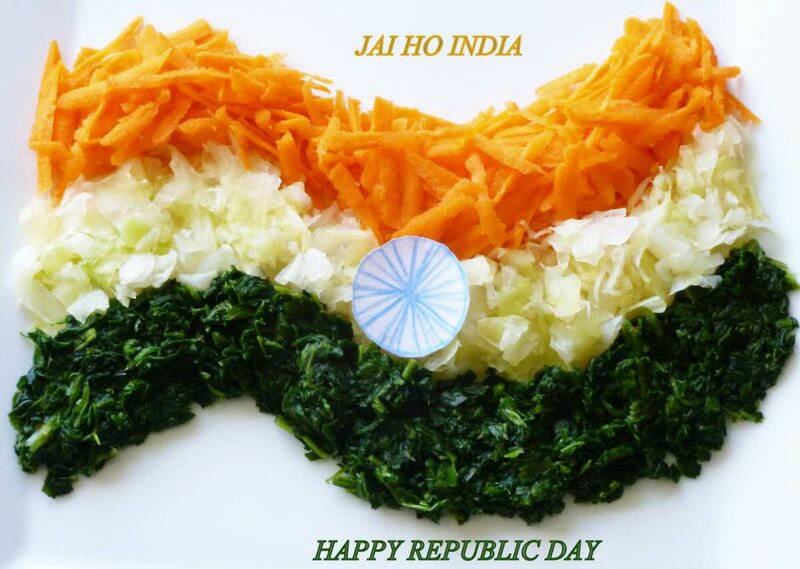 The Republic day Celebrations mark the date on which the Constitution of India came into force. Though India became independent of British Rule on August 15th 1947, it did not have a permanent constitution at that time. It took three years to form a permanent constitution and finally it came into effect on January 26th 1950. It is a national Holiday all over India and is celebrated with grandeur in the National Capital, New Delhi at ‘Rajpath’. The President of India hoists the national flag and then salutes to march past of the three armed forces. Republic Day is also celebrated in every state capital and across all the government centers, schools, colleges, and hospitals. A sense of patriotism and unity is felt as people play patriotic songs and national songs everywhere and celebrate the day with great pomp and pageant. In 1950 Dr Rajendra Prasad took oath as India’s first President at the ‘Durbar’ Hall in the Government House and later unfurled India’s National Flag. This historic day ever since then is celebrated as The Republic day of India. Republic Day celebrations start with the Prime minister putting a garland at the Amar Jawan Jyoti at India Gate, as a respect to the Indian soldiers who sacrificed their lives for their country. It further continues with the march past by the armed forces, parades, folk dances in a traditional set up representing each state and the cultural unity of India.. Awards and medals of bravery are given to the civilians who have portrayed an act of bravery in that year. The Armed forces Helicopters fly over the audience showering rose petals on them. The sight of the rose petals being showered from above looks very serene and beautiful. Children have a special place in the republic day celebrations. They participate in dancing and singing patriotic songs. The parade comes to an end with a “fly past” of the fighter planes by the Indian Air Force symbolically saluting the President of India and leaving trials of tri color smoke. Republic day stands for the true undying spirit of the Independent India. The tri color National Flag, military parades and the display of military equipment symbolize the Republic Day. It is believed that India is the only country with so many tribal traditions and cultures which is evident in their folk dances and costumes. Also it is believed that in no other country except India ethnically different people in uniforms parade together which symbolizes unity and loyalty towards the Government. Hence It is said that the Republic Day celebrations of India has become world famous and considered as the biggest show on earth attracting huge number of tourists from all over the world. Due to a number of tourists visiting India during this time of the year there are significant traffic problems in the capital city and also the security is tightened in all the major cities of India so that the celebrations are not affected and end peacefully in a patriotic note.